Our company is built on a strong work ethic and is dedicated to providing the best patient care possible along with superior service to our clients. Our staff combines their knowledge and expertise to bring an affordable option that is tailored to meet each hospital’s specific needs. PharmD on Demand embodies the value of unparalleled patient care and operational efficiency for hospital pharmacies and hospital ownership groups. 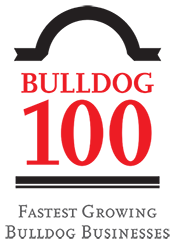 We take pride in our capabilities and strive to provide the best, most innovative solutions to the hospitals we serve. To increase patient care and safety through our high quality, cost-effective hospital pharmacy services. -Provide complete pharmacy services to hospitals throughout the nation. -Promote precision, efficiency and safety unattainable in a traditional hospital pharmacy setting. -Provide the highest level of customer service and maintain long term relationships with our clients. -Use the latest technology advances in all services. Andy serves as President and CEO of PharmD on Demand. 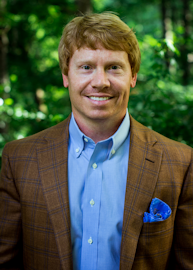 Prior to co-founding PharmD on Demand, Andy founded Principle Centered Investments, a real estate investment firm responsible for the acquisition and management of over 300,000 acres throughout the Southeast. He has continued to invest in diverse industries ranging from media software to online retail. Andy received a Bachelor of Science degree in Civil Engineering from Auburn University and a Master of Forest Business from the University of Georgia; he takes pride in serving as active lecturer at both institutions. Holding several professional licenses, he serves on numerous professional boards and university-related committees. Andy understands the value of principle-driven leadership from his professional career and expertise. In 2013, Andy was selected for the University of Georgia’s 40 Under 40 – an award given to prominent alumni who have made an impact in business, leadership, community, educational and/or philanthropic endeavors. He brings his vision, business acumen, and passionate commitment to outstanding service to PharmD on Demand. Michael is the COO and co-founder of PharmD on Demand. 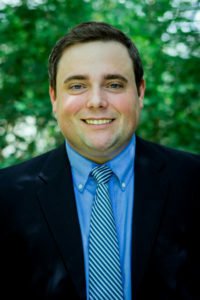 He is a 2002 graduate of the University of Georgia College of Pharmacy and received his Master’s of Business Administration from Piedmont College. The foundation for PharmD on Demand stems from Michael’s early experiences in hospital pharmacy. After leaving a large metropolitan hospital to become Pharmacy Director at a rural hospital, Michael identified inconsistencies in patient care from a clinical pharmacy perspective. Medication errors, drug interactions, delayed medication therapy optimization and the like often occurred more frequently at rural facilities, due to lack of a 24-hour pharmacy. With Michael’s experience in technology, the flagship concept of PharmD on Demand was developed – remote pharmacy services or RPS. In 2015 he was named to UGA’s 40 Under 40 program. He is the 2015 recipient of the UGA College of Pharmacy Distinguished Alumni Award. 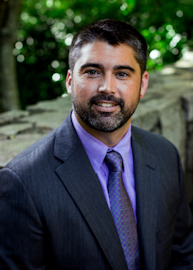 Michael is an active member of the Georgia Pharmacy Association (GPhA) and is one of 16 members of GPhA to be selected for the inaugural LeadershipGPhA class of 2015. He is a member of the Georgia Society of Health-System Pharmacists (GSHP) and the American College of Healthcare Executives (ACHE). He proudly serves on the Board of the Georgia Pharmacy Foundation. Michael is married to his wife Stephanie and together have 5 wonderful children. Cory graduated with a Doctor of Pharmacy degree from the University of Georgia College of Pharmacy. Throughout his career, his experience has included time in retail, compounding, hospital pharmacy and remote pharmacy services. Prior to taking on the role as VP of Remote Pharmacy Services, he served as the Director of Pharmacy at two community hospitals located in Georgia. During his time as a director, Cory oversaw and managed multiple projects involving the implementation and continuing development of pharmacy automation while also focusing on several aspects of medication management. In 2016, Cory participated in and completed the LeadershipGPhA Program. Utilizing his experience in hospital pharmacy, Cory oversees the daily operations and management of our Remote Pharmacists by focusing on providing quality patient care for all of our client facilities and their communities. He is committed to continuously providing excellent service to our clients in addition to seeking new and innovative ways to improve patient care. Lori received a Doctor of Pharmacy degree from the University of Georgia College of Pharmacy. Her career includes both retail and hospital pharmacy experience, as well as expertise in pharmacy informatics, pharmacy management and student preceptorship. Lori previously was Director of Pharmacy at a small rural hospital as well as Inpatient Pharmacy Manager at a larger facility where she demonstrated excellence in leadership, eagerness to learn and grow her department and a desire to further her career. From these roles Lori acquired the knowledge of how all departments must work together for the common goal of patient care. Of particular note, Lori learned the importance of teamwork that is involved in small hospitals. As VP of Pharmacy Management, Lori leads our Pharmacy Directors and oversees our Pharmacy Management department. She is committed to providing unsurpassed customer service to our managed facilities and supporting our Directors every day. In addition to serving current customers and staff, Lori also plays a vital role in acquiring new business and recruiting. Her experience in effectively evaluating and managing small hospital pharmacies helps us continue to provide the most efficient pharmacy management services to our clientele. 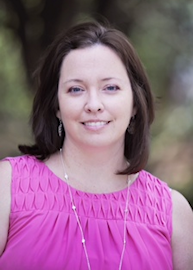 Christa Childs comes to PharmD on Demand with a diverse array of leadership and management experience. She received her Bachelor of Sciences degree in Family and Consumer Sciences from the University of Georgia. 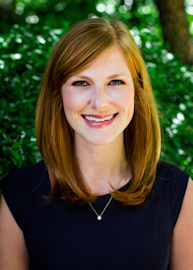 Prior to working at PharmD on Demand, she served as the Assistant Director at Athens Pregnancy Center, where her leadership was instrumental in leading and growing the organization and its impact in the community. Christa’s current responsibilities at PharmD on Demand include oversight and leadership of all HR functions and Business Development endeavors. Christa has received both her SHRM-CP and PHR certifications. She has a strong dedication to her family, faith, friends and community and enjoys investing her time and resources into her local community. Christa desires to use her education and leadership experience to contribute to the continuing success of PharmD on Demand and to create a positive work environment for all PharmD on Demand employees.